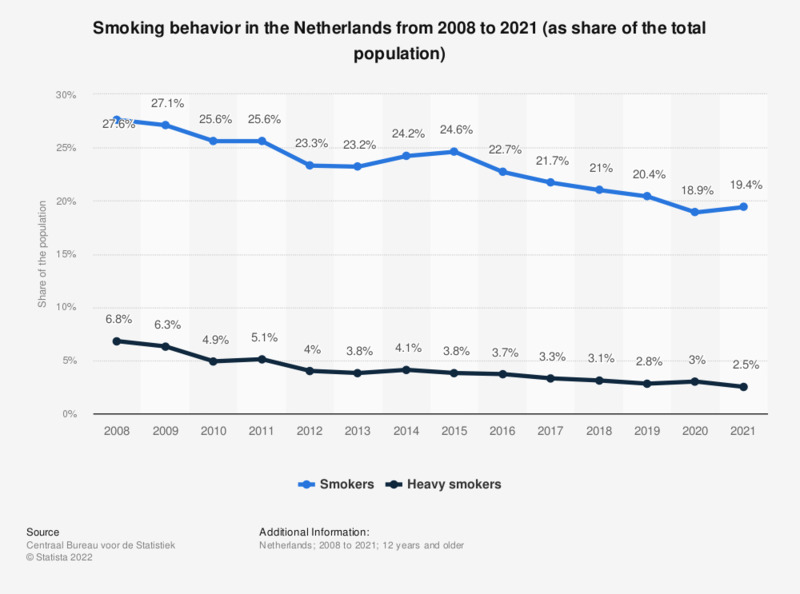 This statistic displays the smoking behavior of people twelve years and older in the Netherlands from 2007 to 2017 (as share of the total population). It shows that both the percentage of the occasional and the heavy smokers declined between 2007 and 2017. According to the source people are considered smokers when they smoke occasionally. The category heavy smokers smokes more than 20 cigarettes a day.